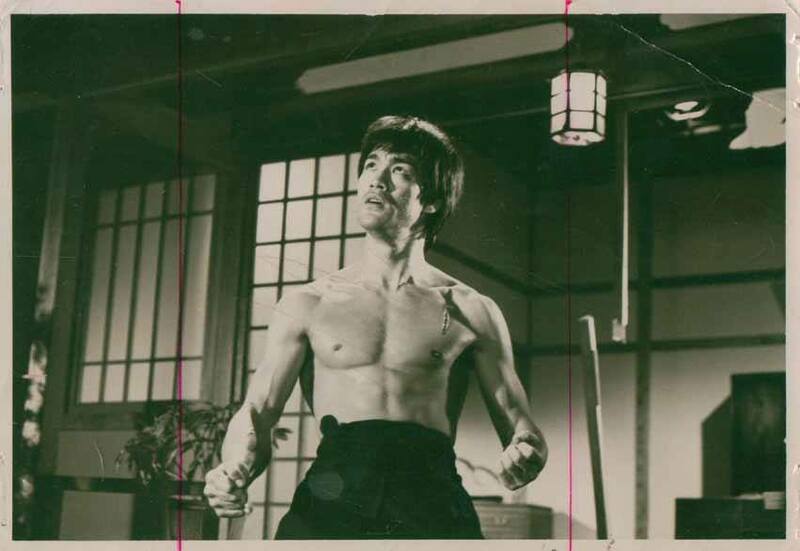 Bruce Lee’s movies have had many releases on DVD and onto Blu ray but his four Hong Kong films have recently had new 4k transfers and these are what are in this new box set The Bruce Lee Master Collection from Mediumrare in the UK. I won’t review the films themselves, 99.9% of anybody visiting this site will have seen the classic films in question so I will review each Blu ray separately. The previous Blu rays released in the UK by Mediumrare were the older transfers but The Big Boss was the best of the bunch. This new 4k transfer improves in small ways. Colours are solid as are black levels to give a very pleasing transfer indeed. Audio has multiple selections. You have a choice of Mandarin, Cantonese or English dub which all have DTS MA 5.1 (with new annoying added sound effects) and thankfully original mono options for each. The mono is the way to go but don’t expect a clear and precise audio experience, it is sufficient and don’t forget these were originally mono on theatrical release anyway. English subtitles, of course, are available. Extras include two audio commentaries from Mike Leeder and the other from Andrew Staton with Will Johnston, both are interesting and worth a listen. 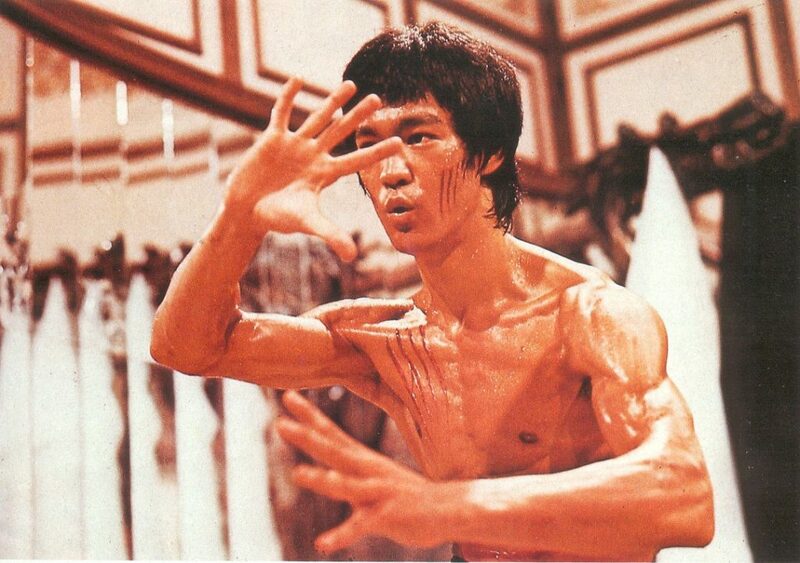 You also have Interviews with Tom Kuhn, Fred Weintraub, more to do with Enter the Dragon than Big Boss, History of The Big Boss, 35mm original title sequence, rare uncut 8mm trailer, deleted scenes examined and trailer. This new 4k transfer blows the other release out of the water and is the biggest improvement seen in this set. The 1080p transfer is crisp, warm and really shines. Audio options are plentiful again DTS MA 5.1 remixed sound with added sound fx in English, Cantonese and Mandarin. You have the prefered original mono in English and Cantonese but no Mandarin, they have added the Cantonese track twice, a silly mistake which should have been picked up before release. English subtitles are also available. Extras are jam-packed, first with Audio commentaries from Bey Logan and Mike Leeder, Interviews with Nora Miao, Riki Hashimoto, Jun Katsumara, Jeff Imada, Dan Inosanto, Linda Palma and Joe Torreneuva. Also a rare photo archive and trailers. The only film Lee directed this transfer is again a massive improvement over the previous release. It is much more stable, colours are bolder and overall it looks like a proper HD transfer should. Some scenes are still a bit rough but remember this was low-budget guerilla filmmaking especially when shooting in Rome. Audio has a number of options, DTS MA 5.1 remix with added sound fx in Mandarin, Cantonese and English dubbed. Thankfully you also have mono options for all three also, the English mono being the Japanese theatrical English dub! Again mono was the original and all options sound fine. English subtitles are also included. Again extras are packed with audio commentaries from Bey Logan with John Benn and Mike Leeder, Interviews with Robert Lee, Bob Wall, Chaplin Chang, Louis Sit, Pat Johnson, Tony Lau, Wong In Sik. The original Screen test for number one son in pristine quality, trailer archive and photo gallery. The most well-known martial arts movie and Lee last completed film is part of this box set and is the same disc as the anniversary release a couple of years ago, this one had a new 2k transfer. The HD picture quality is excellent with a very film-like appearance and solid blacks and bold colours. Audio gives you English DTS MA 5.1 as well as options for other languages in mono such as French, Spanish and Italian. Why we could not have an original mono English option is baffling, but thankfully the DTS track is truthful to the original with no added sound effects just a few music cues changed. Good bunch of extras include an awful audio commentary by Paul Heller which was on older releases, Blood and Steel a great making-of documentary with rare behind the scenes footage, No Way as Way doc, Wing Chun The Art that Introduced Kung Fu to Bruce Lee, Bruce Lee in his Own Words, Linda Lee Interview, Location Hong Kong with Enter The Dragon, the documentary Curse of the Dragon and trailers. Its a real shame they did not include the theatrical version as well as this longer one but overall a good disc. 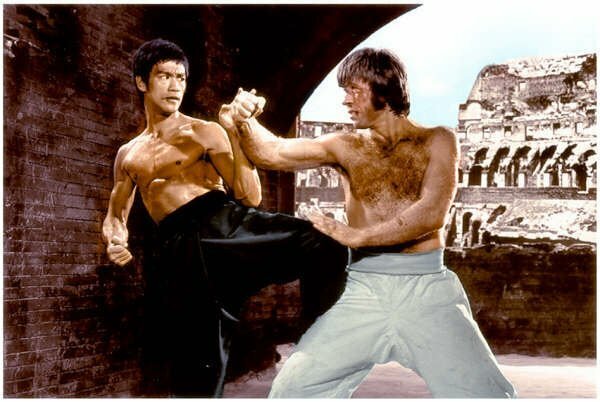 Bruce filmed some of his fight scenes for Game of Death before stopping to make Enter The Dragon but sadly as we all know died soon after. It was in 1978 that Raymond Chow decided to use the footage in this crime thriller which was nothing like Bruce’s original vision. This has also had a new 4k transfer and looks good if a little patchy in places. Close-ups are clear, colours stable and its a big improvement on the last release. Audio has English Dolby Digital 5.1, Stereo and original mono. All sound fine and don’t seem to have had any new sound fx added. Extras are again plentiful. 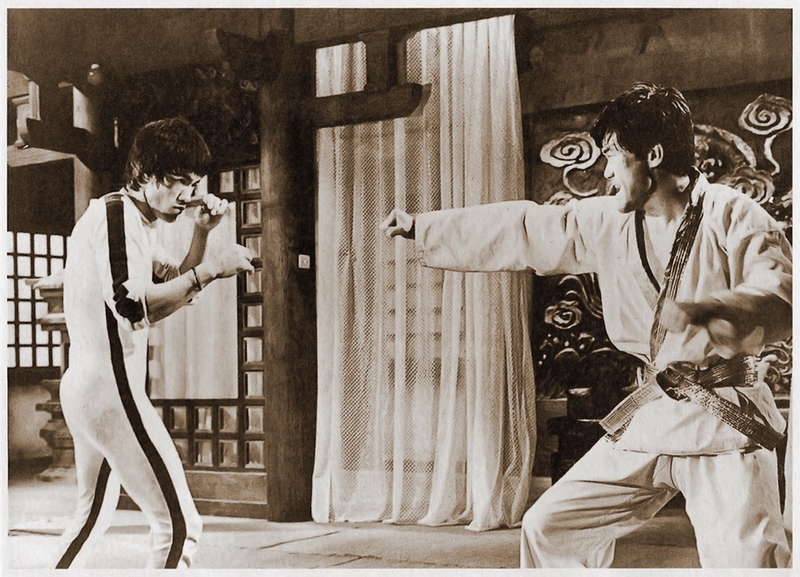 Audio commentary by Bey Logan and Mike Leeder, Deleted scenes and alternate opening and ending, trailers, Interviews with Dan Inosanto and George Lazenby. 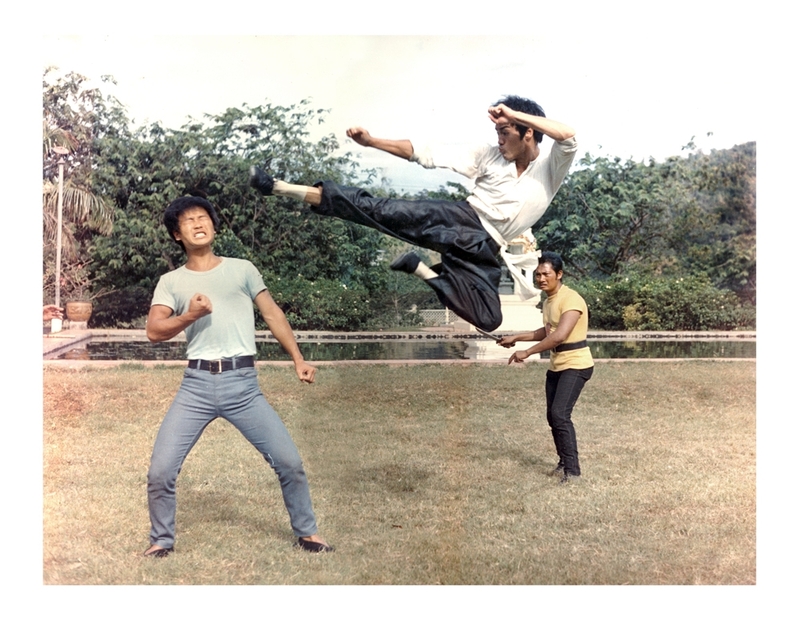 Taky Kimura – Keeping The Flame, Dan Inosanto teaching seminar, Outtake footage, Legacy of the Dragon documentary and best of all Game of Death Revisited, the footage Bruce shot assembled in the order he wanted from his notes. 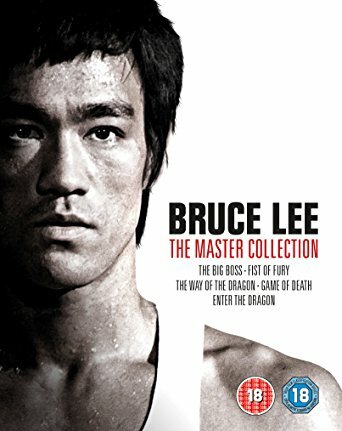 Also included in this set is an extra DVD containing the documentaries Bruce Lee The Legend and Bruce Lee The Man And Legend. These are the same as the previous HK Legends releases. Overall this is a superb box set and the only one released in the UK to include all his films. The new 4k remasters are superb and a vast improvement on previous releases. Why Mediumrare did not publicise this release is beyond me, it does not even mention new 4k transfers on the cover just a few words on the back of the packaging. A lot of the extras are ported over from the old Hong Kong Legends releases which are great and you do get original mono options on all his HK output, which you don’t get on the HK Blu ray releases. Apart from a couple of mess ups on the Fist of Fury Mandarin mono, this has got to be the ultimate Bruce Lee release in the UK. Recommended.